The new cellular carrier run by the North Korean government to compete with Koryolink is being run by a local Internet service provider, according to a source in Pyongyang. The ISP, called Byol (?) or Star, is targeting the wireless service at North Koreans. Star currently offers wired Internet connections to foreigners in Pyongyang at a rate of 600 euro (US$660) for a 1Mbps line with unlimited data, according to a subscriber. But the city’s relatively few foreign residents and tourists won’t be offered service from the new cellular carrier, the source said. That simplifies operation as Koryolink offers a two-tier service, with foreigners able to access the Internet and make international phone calls while local users are restricted to domestic calls and websites. It was not possible to immediately verify the claims. News of the new wireless carrier broke last month when Orascom Telecom and Media Technology (OTMT) disclosed its existence in a financial report. It came as a surprise as the North Korean government owns the 25 percent of Koryolink that is not held by OTMT. The new carrier will target North Koreans while Koryolink targets both citizens and foreigners. The motive for the competition isn’t entirely clear, but it could be to do with profits that Koryolink is holding in Pyongyang. The money is held in North Korean won and OTMT wants to get it out of North Korea but its value is unclear. At the official government exchange rate, the money is worth about $540 million — a huge amount for North Korea to pay. But at the more realistic black market rate, the value of the money drops sharply to about $8 million. 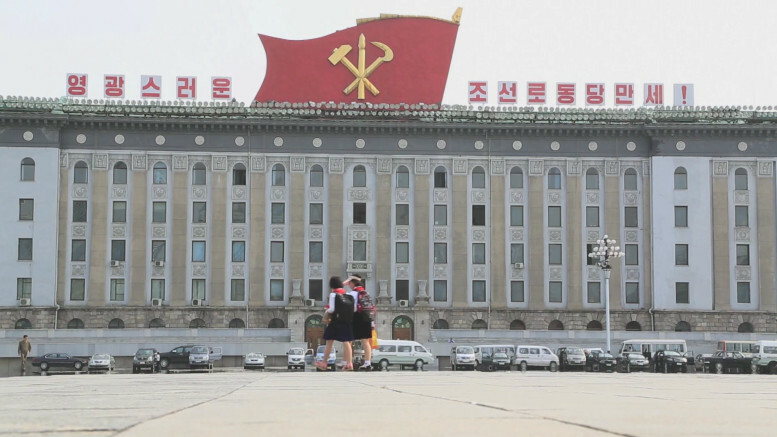 The official rate serves the government well when tourists and businessmen are trying to convert foreign currency to North Korean won, but doesn’t work so well when money has to leave the country. For North Korea, that’s a much less common occurrence. OTMT’s problem is that conversion at the official rate is only possible with permission from the government, and the government clearly doesn’t want to let such a large amount of money leave the country and might not even be able to afford it. “Management is looking for solutions to the obstacles and its effect through continuing discussions with the Korean party including merging the subsidiary Koryolink with the second local telecom operator,” auditors Deloitte said in the introduction to the financial report. It reported that initial consent had been agreed. That might solve the North Korean government’s problems. Depending on the terms agreed for such a merger, the North Korean government could come away with majority control of the new company. In that case, it could take over running and management and substantially reducing OTMT’s involvement and ability to control the business in North Korea.